One in five IT staff are likely to leave their current employer next year in search of more interesting projects and career opportunities, while 80% feel they need a job change to progress their career, according to exclusive research. The Technology Industry Survey 2012, conducted by IT recruitment firm Mortimer Spinks and Computer Weekly, showed more than 80% of 650 IT professionals surveyed feel they are more likely to progress their career by moving companies. Almost 40% are looking to be in a different job within 12 months, rising to around two-thirds for technical roles. James Hallahan, managing director at Mortimer Spinks, said that employers are simply not offering IT staff growth opportunities. "Even if we assume only half of those 40% are successful, it still leaves one in five IT workers leaving their employer. That's a huge number of empty seats on projects, helpdesks or software development teams," he said. 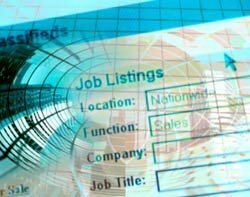 Companies could be forced to recruit a new CIO or CTO in the near future. While all (100%) database administrators surveyed were looking to leave their current roles, more than 90% of CIOs and CTOs, testers, architects and designers believe they have to move companies to progress their careers. Business analysts made up the highest proportion (36%) of IT employees who plan to stay with their current employer. Retaining staff will be harder than increasing remuneration packages and benefits. Most IT staff (81%) want more interesting projects to work on and for their employers to "surprise" them regularly. IT professionals (71%) also want open, honest and regular communications from the IT department - particularly around offshoring. The survey also showed 16% feel threatened by the possibility that their role will be offshored.